The Protestant Ethic and the Spirit of Capitalism (PESC) was originally published by Max Weber in two parts in 1904-05. Weber later revised and re-published the book in 1920 as part of a more comparative study, Economic Ethics of the World Religions. The Protestant Ethic and the Spirit of Capitalism is not only a theory of the rise of capitalism. As Weber says it is more about the role of religion in economic life, which addresses only one part of the rise of capitalism. He holds that ideas and perceptions play neither a wholly autonomous nor a purely passive role in history and society. "Not ideas, but material and ideal interests, directly govern men's conduct. Yet very frequently the "world images" that have been created by ideas have, like switchmen, determined the tracks along which action has been pushed by the dynamic of interest". The central ideas posed by Weber in The Protestant Ethic and the Spirit of Capitalism have to do with several important issues. One aspect of the book has to do with Weber's notion of rationality and rationalization. Weber sees capitalism has a part of a wider strive to organize society and economic life in a rational manner. Protestantism comes into the picture as a parallel attempt in modernity to organize religious life in a rational manner. Another aspect of The Protestant Ethic and the Spirit of Capitalism is question of capitalism's justification. Weber finds the answer to this question in the three-sided relationship between modern capitalism (a system for organizing economic life), the spirit of capitalism (the set of ideas that grant modern capitalism justification), and the Protestant Ethic (a religious attitude toward this world and the next upon which the spirit of capitalism is based). Three main issues were of central concern to Max Weber: the role of ideas in history and social reality, the nature of power and power structures, and the methodology of the social sciences (see his notions on ethnomethodolgy). "The Protestant Ethic and the Spirit of Capitalism" has to do with Max Weber's first concern – the manner by which ideas and perceptions function in history. Central to these preoccupation is the notion of rationality and rationalization in modernity. The Protestant Ethic and the Spirit of Capitalism deals with the rise of capitalism in the wake of the protestant revolution. Weber's agenda is to show how a religious or ideological process can be associated with a political and/or economic one. But what is more important about The Protestant Ethic and the Spirit of Capitalism is the manner in which Weber sees capitalism and Protestantism as part of a large process of "rationalization". Unlike Karl Marx, Weber views capitalism not as the central material feature of modern western societies but as one aspect of a larger process of rationalization which has come to dominate modern thought and society. Weber's discussion of these trends can be found in his work on both ideas and power, capitalism, Bureaucracy and Protestantism are all mutual aspects of modern rationalization. Weber never really defines "rationalization,". One possible formulation of what Weber intended in "rationalization" is the peruse of a specific goal in a self-conscious and systematically organized manner. More simply, 'rational' according to Weber is the practice of appropriating means to an end. Weber did not use “rationalization” and “rational” as necessarily terms of praise. He was quite ambivalent and critical about rationally organized action and a totally rationalized society as the ultimate goal of modernity. Consequently, his account of the uniquely rational features of western societies at the beginning of The Protestant Ethic and the Spirit of Capitalism does not imply that western societies are better than non-western ones, only different in their orientation and practice. Rationality and rationalization are, according to Weber, inherit features of modernity which strives for a governed, calculated utilitarian and forward-moving modes of personal and social life. Max Weber's The Protestant Ethic and the Spirit of Capitalism is arguably his most important work. On the face of it The Protestant Ethic and the Spirit of Capitalism deals with the connections between the protestant revolution and the rise of capitalism, with Max Weber trying to account for the fact the Protestants seem to do better in a capitalistic environment when compared with other religions (especially Catholicism). However, the main point of The Protestant Ethic and the Spirit of Capitalism is not only that religious belief has to do with economic behavior, but also the Protestantism and capitalism represent two faces of a modern phenomenon referred to by Weber as rationalization (see a summary about rationality, rationalization and modernity by Max Weber). At the beginning of The Protestant Ethic and the Spirit of Capitalism (chapter 1 titled "religious affiliation and social stratification" (see link for detailed summary) Weber points to the links between religious belief and economic behavior. He poses the notion the protestant thinking can be associated with what he calls "the spirit of capitalism" (chapter two of the book). What Protestantism and capitalism have in common is the “willingness to engage in rational conduct.” Protestant thought serves capitalism in the conception of hard work and aestheticism as a moral duty. According to Weber capitalism and Protestantism actually say the same thing: work hard, accumulate capital, be rational. In The Protestant Ethic and the Spirit of Capitalism Weber shows how Calvinist views of salvation implicated changes in practical conduct towards greater rationality and the demystification or disenchantment of the world. Another very important aspect of Weber's The Protestant Ethic and the Spirit of Capitalism is his account of the interrelations between conceptions and ideas (here, religious beliefs) as social aspects such as economic behavior and social stratification. Unlike Marx who thought that the world of ideas in founded on economic and material reality, Weber held and demonstrated that the relations between the two are more complex and bidirectional. Jean Baudrillard is a very varied cultural critic and thinker. His theories span across many fields ranging from technology, gender, international relations, consumerism, history and more. 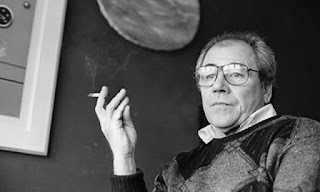 In his theoretical affiliation Baudrillard is considered to be postmodernist in orientation and poststructuralist, an orientation which is manifested predominantly is his occupation with systems of signification. Arguably Jean Baudrillard's most important work is "Simulacra and Simulation". Perhaps the focal points of Jean Baudrillard's theories is the notion of meaning and self-referential manner in which meaning is produced in the postmodern age. Baudrillard draws on other important thinkers such as Foucault in trying to describe how systems of power relations in society are manifested in systems of representation and ideology (a tradition originating in Karl Marx's "The German Ideology" . In his most notable book, "Simulacra and Simulations", Baudrillard argues that moderns systems of representation have undergone a process in which the dignified has lost touch with the signifier that now only points to other signifiers with the "real" long gone. In simple words, what Baudrillard says in "Simulacra and Simulation" is that the way we see and understand reality is only through the ever looping circle of representations representing representations. This condition is referred to by Baudrillard as "the third order of simulacra". Baudrillard ties his discussion in "Simulacra and Simulation" to an interesting account on the relations between Disneyland and Watergate. An additional important theory posed by early Baudrillard was his theory of object value systems which replaced production in Marx's theory for consumerism and the base of capitalistic society. Baudrillard said that modes of economic activity are based not the constructed needs for producing but rather on the constructed needs for consuming, thus posing a new way to look at the manner in which an object acquires value. Basic theories such as Marx's and Adam Smith's focused on functional value and exchange value of goods. Modern sociology such as Bourdieu's theories added symbolic value to the equation. Baudrillard added the notion of sign value (such as the example of "brand") that is based on the manner in which the product is associated with signs functioning in a system (one can see how this is related to Baudrillard's ideas in "Simulacra and Simulation). A late theory by Baudrillard is the one regarding the "end of history". Baudrillard hold the our modern notion of history is based on the notion of accumulating progress, which is nowadays breaking apart. The West's victory in the cold war meant for Baudrillard not the victory of one ideology but rather the breaking down of the notion that there can be one final winning ideology and historical condition. In other words, time itself is changing for Baudrillard with the collapse of linear thought. Feminism was one of the earliest movements influenced by the ideas of Max Weber regarding social research. Feminism, as a social theory, is not one unified approach and there are a few types of feminist theory. The most commonly identified forms of feminism are liberal feminism which argues for gradual change in the roles of women, Marxist feminism which sees capitalism and gender as enemies of women and radical feminism which criticises patriarchy and views masculinity as an enemy. Another type of feminism is black feminism sees both racism and masculinity as issues for Black women. The different strands of feminist theory widely disagree on many points, but all of them share a common ground point of apposing patriarchy. Feminism built of Weber's notions regarding the nature of social inquiry. Unlike positivist thinkers of his time, Weber thought that there cannot be such a thing as an "objective" study of human society. In other words Weber "sociolozied" science and claimed the aspect like ideology influence the manner in which objects are studies. Feminist thinkers drew on Weberian thought when they argued that social sciences are in essence masculine, and in being so are agents in sustaining patriarchy. Following Max Weber, feminists tend to argue that empirical, scientific approaches to research (be it social or exact) are masculine in nature and orientation. Feminists reject the notion of value free and objective sociology, claiming that it is 'malestream' and ideological thought (this is especially true with feminism related to critical theory). According to Millen, what makes feminist research feminist in intent is that it is politically motivated and that it intends to have a role in changing social inequality. It considers the experiences of women and provides a context for the understanding of female issues. The researcher may actually become part of the research process. Feminist research acknowledges that the politics of the researcher influences the findings and actually views this bias as a strength of the research process. It is this type of thought that makes feminism a critical theory of society. German sociologist Max Weber is one of the founding fathers of modern sociology with a huge influence on social theory, critical theory and cultural studies. Weber's theories regarding economics, religion social stratification and social research methodology were ground breaking at their time as they are considered to be classics today. Here we offer you a brief overview of some of Weber's main theories and contributions to social thought and some links to elaborated summaries of some of his theories and essays (more summaries on Max Weber to come). We include some recommendations on further reading by and about Weber. Weber is often contrasted with the theory of Karl Marx, especially when it comes to describing social stratification and social inequality. Unlike materialist Marx who saw everything in economical terms, Weber's theory of society tried to account for the manner in which various symbolic factors take part in establishing social status, stratification and inequality (see full summaries on: Max Weber on social inequality and Max Weber and social stratification). One of Weber's most famous and influential theories and books is The Protestant Ethic and the Spirit of Capitalism (published 1905) which ties the advent of capitalism as a socio-economical system to religious changes in Europe and the rise of Protestantism (see summary of Asceticism and the Spirit of Capitalism, one of the most important parts of Weber's theory on the protestant ethic and the spirit of capitalism). Once central aspect of Weber's theory which can be found in "The Spirit of Capitalism" in the notion of rationality and rationalization in modern times. Here you can find a summary of chapter one "The Protestant Ethic and the Spirit of Capitalism": "religious affiliation and social stratification. · The manual working class. These different class groupings have in Weber's view distinct market situations which either privilege them or make them more vulnerable to exploitation. Weber introduced the important sociological concept of life chances which refer to the opportunities (or lack of them) individuals have for success in education, employment, housing, health, etc. Within the market economy individuals without property depend upon the skills they can offer, and the relative scarcity of these skills improves their market position (based on supply and demand). For this reason, the highly qualified have a different class situation from those with no qualifications and therefore better opportunities . Weber's theory of social class is based on the view that class divisions and inequalities reflect different life chances in the market and that a person's class position is determined by the job market. Because such markets serve to divide and sub¬divide classes, the result is differentiation between groups of employees becomes increasingly complex. With this view we could not be further from Marx's dichotomous view of a society of just two classes. An additional aspect important to Weber's stratification theory is that economic characteristics are not the sole determinant on an individual's status and life chances, since aspects of group belonging like ethnicity are also crucial factors. Weber presents a view of society as becoming split into smaller groups or increasingly fragmented, in contrast to Marx's prediction of an increasingly polarized society. Weber's view of stratification, in other words, is more of a stretching spectrum rather than polarities. Weber's key point is that within class there is further differentiation in terms of status that reflects the different amounts of social standing individuals and groups have. Weber's analysis of status and market position can usefully, and arguably more accurately, explain social differences in society when compared with Marx's theory of stratification. For example, in the workplace women, the disabled, the elderly and many ethnic minority groups have found themselves discriminated against, irrespective of their class position. Therefore people occupying the same class position may well be distinguished by differences in status. For the individual, their status may be more significant than class as a source of identity. Weber thus sees class, status and party as cross-cutting and offers a more complex theoretical matrix of individual class position that Marx did. Weber's approach is useful precisely because it allows us to describe the complex reality of contemporary society and comprise of different intertwining features. However, Marxists argue that Weber's concepts of class and status groups lack the close relationship with a theoretical position that Marx's concept of class exhibits. They question Weber's concept of status group, arguing that life chances are primarily shaped by class location more than anything else. Max Weber, as part of his views on Ethnomethodology and critical inquiry, debated Mark's views on social inequality. Karl Marx saw inequality in terms of the ownership of wealth and the control of material possessions, which are also manifested in ideological perceptions (see: The German Ideology). One critique of Marx is that this is a very simple view and does not take into account all of the other forms of inequality found in society. Weber was obviously aware of Marx's writing when he disagreed with him. Weber said that inequality is more complex than what Marx described. He defined power as being the ability to influence others to do your will and claimed that power had a number of sources such as ownership of land and capital, social status, physical strength and education. Weber saw stratification in terms of the triadic relationship between class, status and party. Status according to Weber is related to inequalities that are to do with the way in which people judge and relate to each other. Class is to do with inequalities that have their source in the workings of capitalism and the market place. Party is related to concepts of politics in its broadest sense. Weber says people form groups and organisations tend to look after their own interests, thus sustaining and reproducing social inequality. According to Weber Status is formed out of the tendency of people to judge each other (Bourdieu thought similarly). We all value some characteristics and despise others. When we do this as members of a social group towards members of other social categories, then we are according them a social status. Status, in other words, is based on self affirmation of one's social group and the denial of other groups and their members. Some groups will benefit from having a high status, but others may well be treated negatively. In our society, for instance, membership of certain racial groups implies worth, so that non-membership of high status groups then disadvantages those who come from ethnic minorities. The disadvantages of belonging to a low status group, such as membership of an ethnic minority, can leave people in poorly paid, low status occupations and with little hope of advancement. This means that status, according to Weber, is not (just) a personal matter but rather something which depends on group affiliation. Wealth and economic advantage are a significant element of class. Weber suggested that the increasing bureaucracy that accompanies capitalism leads to status differences between those members of the working class who are manual workers and those who offer services to capitalism through the exercise of professional skills such as the middle classes. Weber suggested that there would be a growth and increase of classes linked to differences in educational skills and qualifications and the power that these confer on workers in the labour market. Karl Marx believed that the social classes would polarise, leading to the eventual demise of capitalism with some people becoming ever more rich and powerful while others would become poorer until the pyramid can no longer sustain the gap and caves in. Weber said that there would be ever more social classes developing in capitalist society. Class would depend on our life chances and our life styles. Class would be characterised by such things as accents, education, locality, leisure habits and spending, what would later be characterised by Bourdieu as "Habitus".